Bernie Sanders is a “democratic” socialist. Naturally, the adjective democratic should be enough to salvage even the most destructive of political and economic ideologies, shouldn’t it? After all, people voted on it, right? 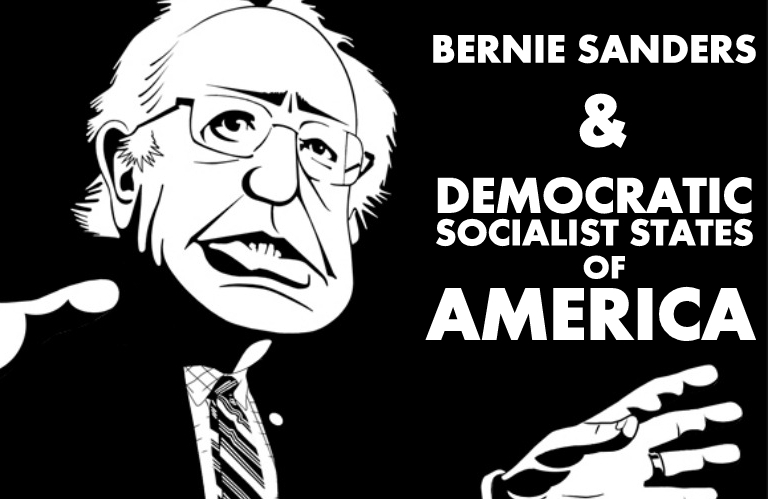 What does Bernie Sanders mean by democratic socialism? A democratic socialist believes that the wealth earned by private industry is not created, but stolen off the backs of the hard-working laborers. He believes in crude nationalism and mercantilism, that corporations are more beholden to individuals in the same political and geographic region than to their shareholders, customers, and employees, wherever on the earth they may reside. He believes in economic democracy, the notion that the majority can vote to steal the property of a minority. Why seize the means of production, when you can leave other people to produce everything, and then just take it afterwards? Many libertarian, pro-capitalist individuals would agree with the democratic socialist that our current political system is rife with corruption and crony exploitation. Yet the capitalists and the socialists have completely different ways of addressing these problems that face our economy. While the former would probably say that these problems arise from the political control of our economic system, the latter would say that it is due to the capitalist system itself. But the reality of our economy is that we do not have a free-market system, and if you dig deep enough you will find that our money is very tightly tied to the whims of the politicians who elect themselves into power and the bureaucracies that support them. It is not as if our political class is a team of do-gooders who want to make their citizens wealthy and safe; nor is it as if without shareholders and employers owning stuff there would be no money in politics and every US American would be well off. What Bernie Sanders fails to realize is there is an economic reality that cannot be superseded by political whim. At some point the supposed Scandinavian socialist paradises will consume what scarce capital they have built up. Their politicians will again run out of other peoples’ money, and their societies will become poorer. Politicians can create nothing, they can only redistribute what has been created by the private enterprise they demonize. Rachel Rodriguez is an intern at the PanAm Post. She has a fiery passion for economics and hopes to inspire every reader to take a closer look at the outcomes of government policy.